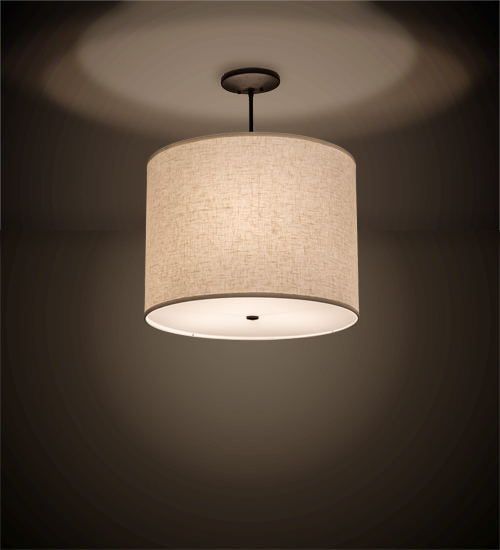 Description: The material is Steel, Textrene and Idalight. The finish is Oil Rubbed Bronze. The shade is Off White Textrene and the bottom diffuser is Statuario Idalight.